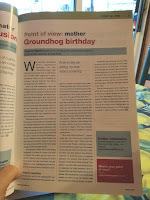 Had high plans to keep on top of my blogging - Ha! Like life will let me. All sorts of issues going on in this house at the moment with birth children and the fosterlings. But I want to focus on one other today. A few months ago I had the opportunity to write an article for SEN Magazine on any topic relating to Ella. 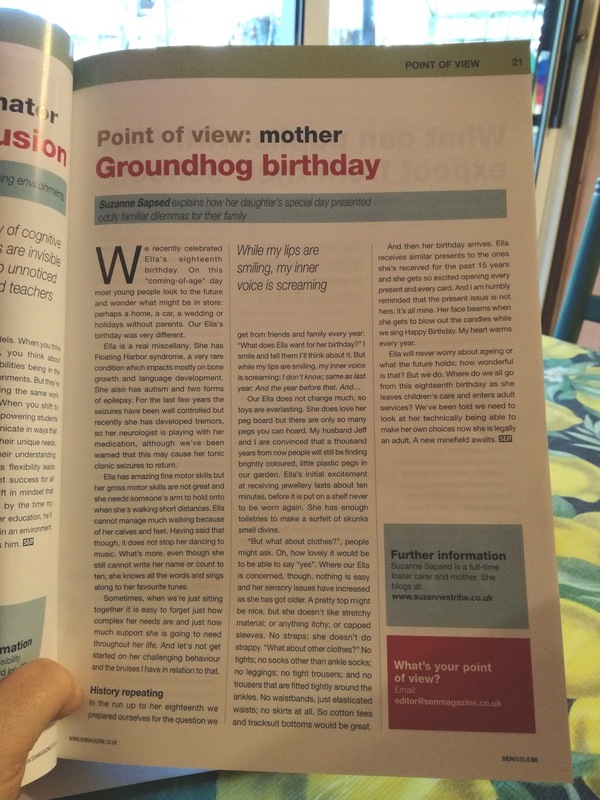 I decided to write about birthdays, and have attached a photo of the article. Quite proud if I say so myself, made me smile. Jeff left Thursday. This week Ella has had to deal with Jeff leaving, going back to school, her favourite TA not being there, the fosterlings very stressed, and her period starting. I guess a perfect storm. So I understand why she's behaving like she is, but when you're in the middle of that perfect storm, it's soul destroying. 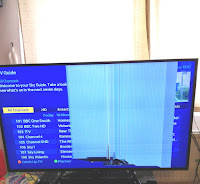 Tuesday she throws something with such force she has broken the screen of our brand new telly. 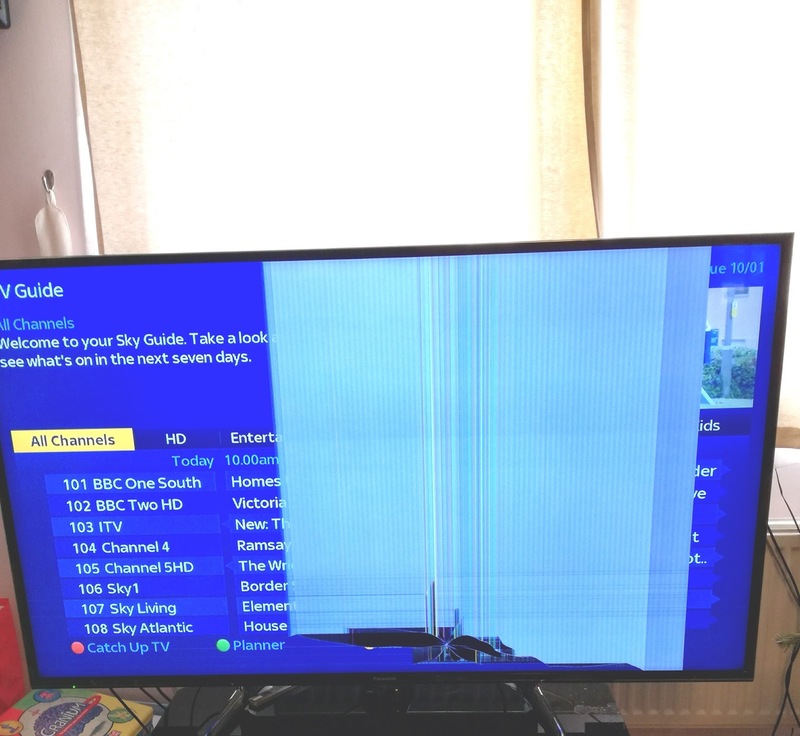 Note to self, don't bother to buy nice things. I love this girl to the moon and back, but sometimes it is bloody hard work.So I guess I'm writing this for me because I'm hoping it will be cathartic; and for anyone out there who knows a parent/carer dealing with a child with complex needs don't always assume everything's fine because they're always smiling and laughing about it. Behind closed doors they could be dealing with a nightmare you cannot imagine and might even be sinking under the stress. Wow Suzanne. I'm so sorry that she's been so challenging the past few days. I hope Jeff gets home soon.